This Friday April 4 The Road Theatre Company will proudly present Sovereign Body by Emilie Beck. Over the next several weeks I will be interviewing the actors from this new production. First up is Taylor Gilbert, who plays Anna. 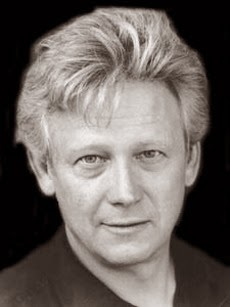 Taylor founded The Road Theatre Company in 1991 and for the past few years has been Co-Artistic Director. She also serves on the Artistic Board. Taylor has worked as a Producer on over 30 Road shows. Her Road directing credits include: the award winning In The Name of the People, Mooncalf, My Last Confession, The Chisholm Trail Went through Here, and Slumber Party. She also co-directed Hitler’s Head and Homefires, both with Ken Sawyer. Taylor has been seen as an actress on the Road stage in: Balm in Gilead, Why Things Burn, Vig, Pirates, Akela, Merlin, American Romance, White People, A Mislaid Heaven, The Seventh Monarch, The Pagans, Oroboros, Backwards in High Heels, and And Neither Have I Wings to Fly. Taylor has also acted on the big screen in several roles. 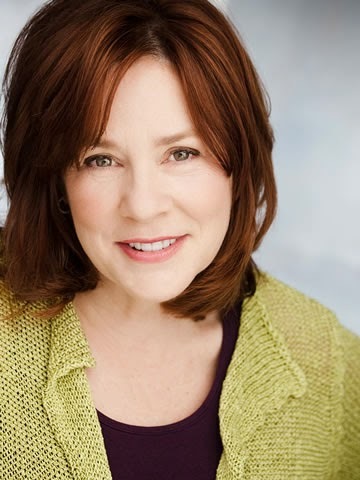 Her film appearances include: Spiderman 1 and 2, Hancock, The Island, Twister, Tucker, The Dead Pool, The McMartin Trials, and Torment. First off, who is Anna? Anna is a chef and her artistry in the kitchen means the world to her. It is her passion. " I fed people. Not just satisfied their hunger but fed them emotionally. I knew how to make food that gave people an experience..." says Anna. What kind of conflict does she face? Like many of us, she really likes being in control of herself and her life. When she finds she's losing control over certain situations in her life, she finds herself struggling with very serious issues that threaten to destroy her identity. How challenging has it been for you as an actress to find what makes her tick? Anna has been a complex character to explore and embody. Her relationships with her family are quite normal but as she progresses through the play they seem to become somewhat abnormal due to the circumstance she finds herself in. The work has been physically and emotionally quite challenging. Exhilarating and exhausting all at the same time! How have you used your own personal experiences to help create Anna? My experience as a mother of teenagers, as well as a professional outside the home, has helped to ground me in the reality of this role. I am delighted to play a character that has been so artistically yet realistically penned by Emilie (Beck) and specifically directed by Scott (Alan Smith). Anything else you care to add for our readers? I urge you to join us for a beautiful production that will live with you long after the curtain call. 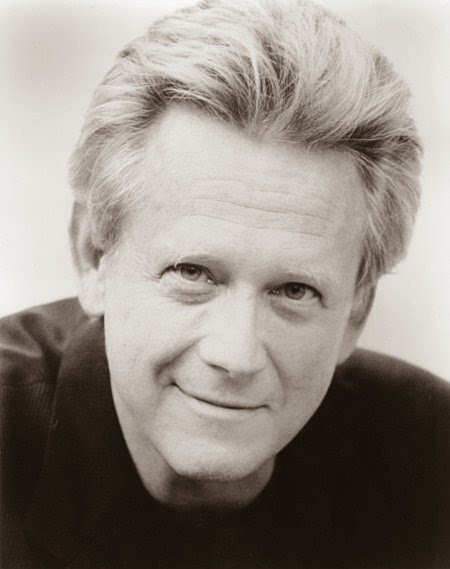 Actor Bruce Davison certainly needs no introduction. He has starred on stage, screen and television in a multitude of complex roles over the last almost 50 years. 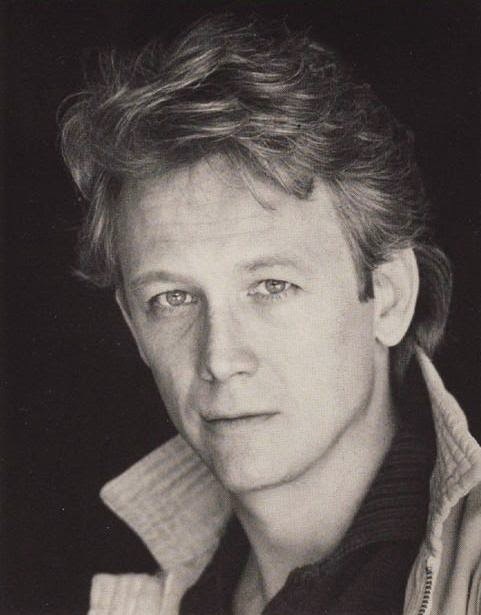 He is most remembered for his early film Willard in the 60s and his stunning Oscar-nominated role in Longtime Companion from the early 90s. 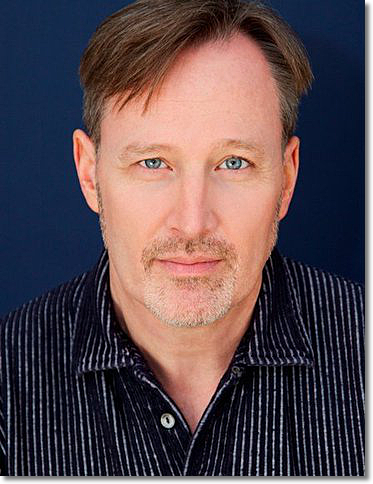 Davison is currently onstage in Noel Coward's A Song at Twilight at the Pasadena Playhouse, co-starring Sharon Lawrence and Roxanne Hart. In our chat, he talks about his wonderful role in the Coward play and other fascinating career tidbits. Tell me about A Song at Twilight and the character you are playing in it. The play is Noel Coward’s King Lear and his most complex piece. I play Hugo Latymer, a closeted writer who hesitantly accepts a visit from his former mistress. She’s writing her autobiography and wants to use his love letters. He refuses, which leads to confrontations about past secrets and repressed lives. What challenges, if any, are you experiencing in playing this role? Language, stamina, and filigree rococo language is quite a lot to master especially with an upper class British accent – as well as to try to maintain a character that is so shut down emotionally and still covey a sense of truth about him that will be interesting. How does it compare to others you have played? It’s the hardest – people often don’t realize the amount of work that goes into creating a character that carries a play – The Elephant Man was a piece of cake by comparison. After six months of doing The Elephant Man on Broadway I was doing it again in Westport while doing Hildy in The Front Page with Brian Dennehy at the Long Wharf ... at the same time. Hildy works very hard supporting all the characters – in contrast, all the characters work and support the Elephant Man. In reviews, Hildy is hardly mentioned – I thought it was my best work – while with the Elephant Man – every gesture, every move is raved about – it gave me an understanding of what people don’t understand about what goes into playing a role. You have had a wonderful stage career in New York and Los Angeles. I saw you in The Elephant Man Broadway early on and also playing Tom in The Glass Menagerie with Jessica Tandy. Talk a little about the latter experience. I later directed Hume in his last film Off Season for Showtime, for which he was nominated for an Emmy. I wish he were here now to help me with Hugo. Another highlight was The Cocktail Hour, which you did here in LA. Talk a little about that and working with Nancy Marchand and others in the cast. I have a picture on my dressing room table of them. Keene Curtis and Nancy were great influences on me - another great theatrical family. We played together for over 400 performances and I always think of them when I see that photo sitting there. Holland Taylor played my sister in that production as well. What is the favorite role you have played onstage? If more than one, mention them. Why these choices? The Elephant Man was a great sense of rebirth for me in the theater and of coming back after having a rough time in Hollywood. Doing Streamers in Westwood was great as well. For films, Longtime Companion certainly, and Ulzana’s Raid, directed by Robert Aldrich. I got to live every young man’s fantasy of chasing Apaches across the vast expanses of the West along with costarring and riding alongside Burt Lancaster. Which playwrights are among your favorites? Why? I love Pete Gurney (A.R. Gurney) – I know him personally and got to work with him. Other favorites are Ionesco, who I got to know when I worked with him in Stockbridge, and Tennessee Williams. I wish I could have met him – he died just before I did The Glass Menagerie. 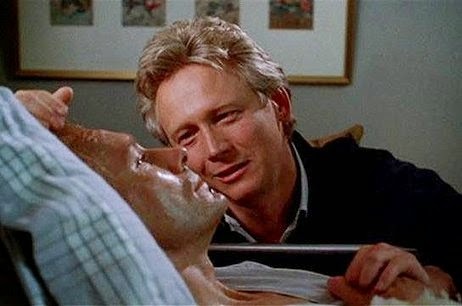 Longtime Companion brought you an Oscar nomination and was a wonderful performance. I know the battle against AIDS remains close to your heart, as it figures into the charitable side of your career. Talk about that film and others related to the issue that you have done. I started with The Normal Heart before Longtime Companion – and I was inspired by Larry Kramer who went on to create Act Up. I never thought anybody would see Longtime Companion - it was a little movie of the week for public TV – I never thought it would even make it on the air much less have a theatrical release - but because of Tom Rothman and Sam Goldwyn it went on to achieve the success it did – I did Randal Kleiser’s film It’s My Party and worked with a lot of earlier groups when they were starting in. I worked with Henry Heimlich when we thought Malaria therapy might be a solution to the AIDS crisis – I also worked with American Rights and APLA in the early days – when my agent manager and commercial agent all died – during the late 1980s and early 1990s; it was a holocaust. As you are aging, do you have a role that you feel you must play like King Lear? Or are you just satisfied with the work that comes your way? I am just satisfied with the work that comes my way – King Lear would probably kill me – I watched Lee J. Cobb do it – I was a spear carrier at Lincoln Center – I used to watch him come sliding down that highly raked Ming Cho Lee set – I thought he would get a hernia! Talk a little about your recent TV work - A & E's Those Who Kill and Last Resort. Last Resort was the last resort – they ended up blowing us all up – the network didn’t want to continue which was too bad – I thought it was a great series and I loved working with Andre Braugher, but you never know. Those Who Kill finished its first season and is about to have a reboot – we will see how things go – I play Chloë Sevigny’s twisted dad – it’s a fun role. 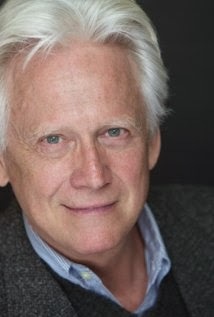 Don't miss Bruce Davison in his knockout role in Noel Coward's A Song at Twilight through April 13 at the Pasadena Playhouse. As always, he delivers the goods. On Saturday May 10 S.T.A.G.E. 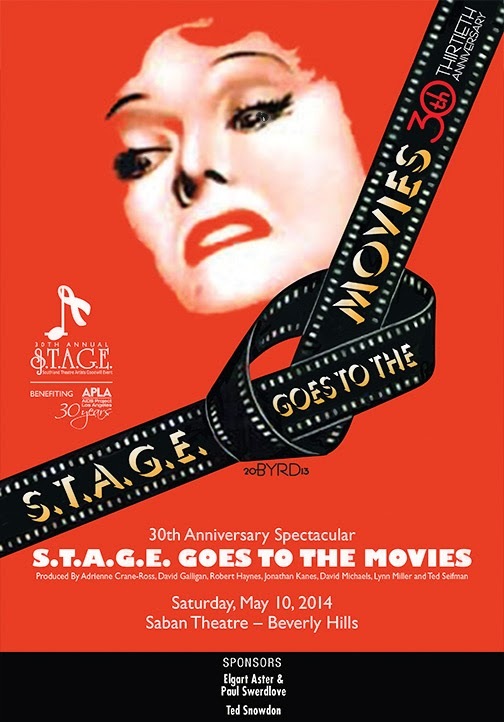 (Southland Theatrical Artists Goodwill Event) will present its annual show at the Saban Theatre on Wilshire Blvd in Beverly Hills, this year entitled S.T.A.G.E. Goes to the MOVIES, directed by David Galligan with musical direction from the incomparable John McDaniel. Grammy, Tony and Emmy winning composer, musician McDaniel took time out of his busy rehearsal schedule to chat about the evening. John, will you give the audience a little preview of the show? What film songs may we expect to hear? There are so many great songs that have been featured in films - a few of my favorites that have been chosen so far include: "How Do You Keep the Music Playing" from 1982's Best Friends, which will be performed by Bill Hutton, "It Might As Well Be Spring" from State Fair, sung by Debby Boone and "The Way You Look Tonight" from Swing Time, performed by Jason Gould. The show usually honors Broadway. Why a show about films this year? (laughing) We are in the thick of Hollywood, for heaven's sake - it's a natural fit! Sounds like fun and it sure is a change. You have been doing this show for how many years? Do you have any favorites or do you just love each one as it comes along for its own merits? Little known fact: I played keyboards on the Julie Styne benefit - way back at the Variety Arts Theatre - what a great show ...with Georgia Brown!! I've been the music director the past few (3 or 4?... I can't remember) years. What will Robert Osborne be doing? Narrating? Setting up each segment? Bob is graciously hosting - there will be lots of film clips, a few fun interviews - it's gonna be so cool to hear him live and in person! You have done it all. TV. Broadway. Concerts. You have played for some of the greatest entertainers in the business. Pick one and tell me a funny story. Maybe something unexpected that happened, or just the experience itself, how it became more memorable than you would ever have imagined. My favorite Stritch (Elaine) story has to do with when we did PAL JOEY together in Long Beach in (maybe) 1990. She was reprising the role of Melba, singing "Zip", just as she had done on Broadway in 1950. Yup, 1950!! At the last performance, she was doing the "stripper" ride off, heading off stage, and she looked straight down at me in the pit and yelled, "Take me home, John!!!". I died and went to heaven at that very moment. Who is your favorite composer of all time? I have a hard time considering any theatre composer on a par with Stephen Sondheim. And getting exacting and thoughtful notes from him when I conducted the reunion concerts of the original Broadway cast of COMPANY was another "life" moment. I've heard about those famous notes! Any favorite musicals you care to mention? My 2 favorite, and somewhat perfect to me, musicals are GYPSY and THE KING AND I. Great choices! What's up next for John McD? Anything promising on the horizon for Broadway? I'm excited to honor FIDDLER ON THE ROOF in concert on April 28th in NYC with a starry cast - we are celebrating Sheldon Harnick's 90th year, which will be an absolute pleasure. I'm also very much looking forward to my 2nd year as Artistic Director of the O'Neill Theater Center's Cabaret and Performance conference this summer! There you have it, folks. Like John McDaniel says, S.T.A.G.E. Goes to the MOVIES will be a great show... with appearances by Mitzi Gaynor, Lainie Kazan, Donna McKechnie, Helen Reddy, Jason Gould, Richard Chamberlain, Betty Buckley, Cheyenne Jackson, Debby Boone, Patrick Cassidy, among many many other super talented singers. The best seats are going fast, so go to their website and order your tix online NOW! Remember you are contributing to APLA Los Angeles with every dollar you spend.